A follower of Elon Musk on Twitter literally begged for the upcoming Tesla Model 3 to have a traditional speedometer for those who wouldn’t be using Autopilot, but Elon ain’t having it. 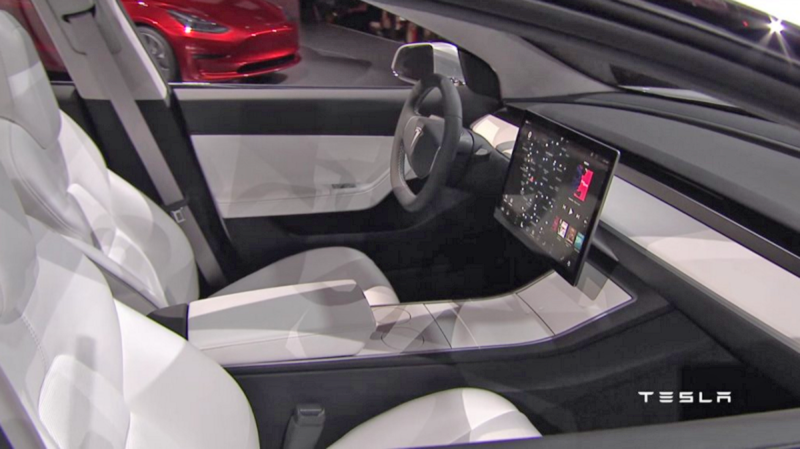 We already knew the Tesla Model 3 would be delivered with an ultra-minimalist interior, and the announcement presentation of the car suggested all of the user interface information would be located on a center-mounted touchscreen on the dashboard. This, of course, would be an evolution from the current Tesla lineup, with the Model S and Model X featuring a giant touchscreen but keeping a relatively traditional speedometer in front of the driver. When it comes to the Model 3, Tesla CEO Elon Musk made it very clear that the Model 3 was definitely moving on. I almost feel like Elon Musk just got out of a grueling meeting over the first Model 3 models testing the production lines and had to fight off a board room of worries over the radical interior of the car, only then to check Twitter and find a target to vent into. Or maybe he’s just trying to be as clear and direct as possible. It’s pretty easy to follow, but just in case, that’s confirmation that the speedometer information will not be a traditional display, nor a heads-up display in front of the driver. You’d be wise to surmise that speed will instead be displayed on the giant tablet implanted in the middle of the dashboard, but it could also still be something else. It’s probably going to be on the giant tablet though.